If you are like me than you have seen this film many times before and on almost every format. I originally seen this film on a copy dubbed from it's original VHS release. Since then I have owned it on VHS, 2 different DVD releases, and finally on Blu-ray. Each release has gotten better and better like you'd expect. 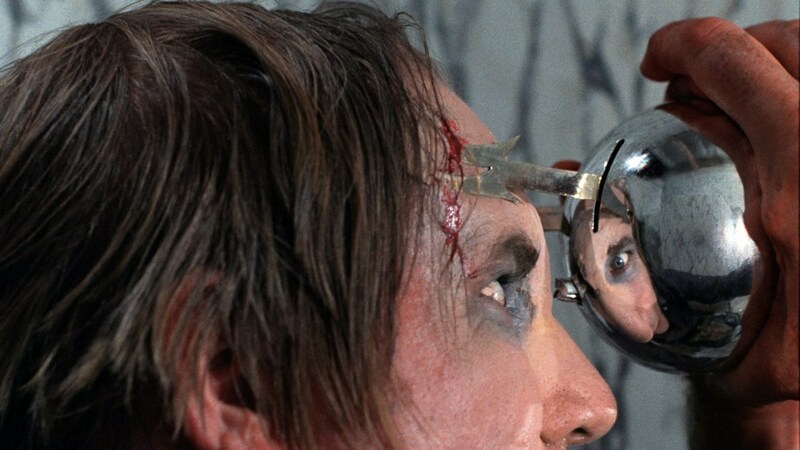 One thing I can say is that this "remastered" release of Phantasm is simply awesome! They truly went through and cleaned this film up and gave it the love that it deserves. Originally the rumors were going around that Scream Factory would probably get this release due to them releasing the 2nd film on Blu-ray. Instead the company Well Go USA got this release and to me that's just fine because they have handled it greatly. They also are releasing the 5th film in the franchise "Phantasm: Ravager" which I will have a review for soon! Hopefully they will atleast be able to release the 3rd and 4th films as well. Like I said when it comes to the picture quality it is awesome, the picture is cleaned up quite well and still has it's film grain intact. I also noticed alot of details that for some reason I never noticed before. One of those details which is an odd, but it is after the ball drains the Tall Man's minion that was going after Mike when they show his legs you can see that he ends up urinating upon death. I know that is an odd detail, but it sticks out way more than I would of ever expected. In the end the overall detail is simply amazing. The colors seem to pop more as well even for a film of this darkness. The only thing this release lacks compared to the last DVD release that was put out by Anchor Bay back in 2007 is the special features are more abundant than the ones on this release. On the Well Go USA release you get an audio commentary, an episode of "Graveyard Carz", Interviews From 1979, Deleted Scenes, and Trailers. If I remember right I think it has the same commentary as the previous release. On the previous release you got: Phantasmagoria: 30-minute documentary and interviews with cast and crew, Deleted scenes, Behind-the-scenes, Actors having a ball, TV Interview,TV Commercial with Angus Scrimm, Angus Scrimm convention appearance, Trailers for Phantasm and Phantasm III, and TV Spots. There is more special features as you see, but really the restoration that was done here more than makes up for the lack of special features. Overall this is a fantastic and unique horror film with a truly awesome release that I think will please fans of the series as well as new fans! 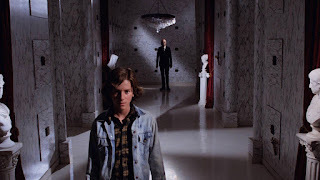 One thing I highly recommend is that after you watch this release once go back and watch it with the great commentary where you will learn so much about the making of Phantasm. I give this release a solid 10 out of 10!